Any type of fresh vegetables will do for this recipe. These grilled vegetables make a great accompaniment to uneke.com's Grilled Fish. Slice vegetables 1/2 inch thick. Leave cherry tomatoes whole. Marinate vegetables (minus cherry tomatoes) for 1 to 1 1/2 hours. Soak wooden skewers in water or white wine for same amount of time. Drain vegetables and reserve liquid. Thread vegetables onto skewers. Heat grill and place skewers on the grill. Cook, turning once, until just tender inside and charred on the outside. Remove to a platter and pour reserve marinade over vegetables. 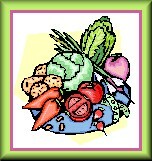 Any combination of fresh vegetables can be used.